Seaweed: could it become a popular food? As people are becoming increasingly health conscious, getting ‘back to basics’ with all natural ingredients makes sense. So how about a tasty health giving meal, with flavours straight from the sea? It is prized as a source of iodine, which is needed to produce the two key thyroid hormones that control metabolism. The kelp is also rich in fucoidan, a phytochemical that acts as a blood-thinning anticoagulant; a 2011 study found that kombu contains properties that stop clots from forming in blood vessels-which may make it a promising subject for cardiovascular research. Among the marine flora, nori is one of the richest in protein (up to 50 percent of the plant’s dry weight), and one sheet has as much fiber as a cup of raw spinach and more omega-3 fatty acids than a cup of avocado. Nori contains vitamin C (a potent antioxidant) and B12 (crucial for cognitive function) and the compound taurine, which helps control cholesterol. • Arame – Long, thin, sweet-tasting strands Provides a good amount of potassium, a mineral known among athletes for preventing muscle cramps. Research has shown that arame might have antiviral properties, too, and may even have an antiobesity effect: In a 2010 experiment, researchers discovered that mice on a high-fat diet experienced less weight gain when their food was supplemented with arame powder. Known as the woman’s seaweed because it is loaded with osteoporosis-preventing calcium and magnesium and acts as a diuretic which discourages fluid retention and help reduce bloating. Eat Balanced use a sprinkling of human food quality seaweed in our pizza bases. Not only does this greatly improve their nutritional value but seaweed has a tenth of the sodium compared to salt and adds amazing flavour. We posed a question to Dr Craig Rose – do you think that seaweed will start to replace salt within the food industry? Not only is seaweed a great condiment and ingredient in our food, it is now trending as a popular snack. Being naturally salty makes it a perfect snack. Soon you may see more people snacking on squares of toasted nori as opposed to bags of potato crisps. Can you imagine a future where we consume seaweed on a daily basis in the UK? What about a future where it replaces the salt on your table? 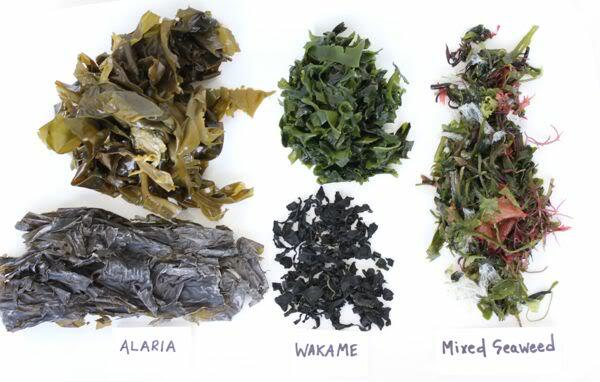 https://www.eatbalanced.com/wp-content/uploads/2013/12/Seaweed_pic.jpg 415 604 Katie Sillars https://www.eatbalanced.com/wp-content/uploads/2019/02/EatBalanced-HBS_Web.png Katie Sillars2013-07-31 08:54:362016-01-13 15:53:43Seaweed: could it become a popular food?